When Indie Met Rave is part of the British Film Institutes 'Our North' Season, we are celebrating what it means to be northern and how that is represented through cinema. 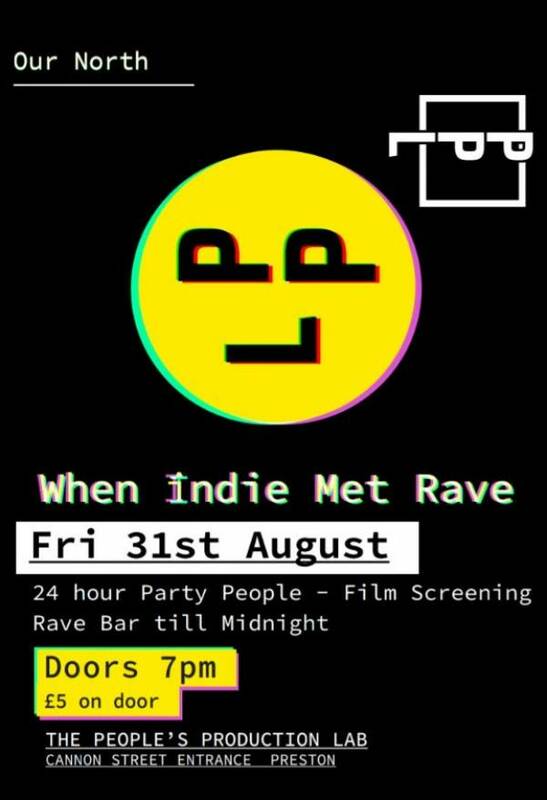 Doors open at 7pm and a screening of 24 hour Party People will take place in our PPL event space followed by a Rave Bar until midnight with DJ's AV1 providing music. We will be re-opening our Talk to Me Booth for the night to record and draw out peoples individual stories about 'When Indie Met Rave' and what that means to them.